10-track CD on Z Entertainment, year unknown. 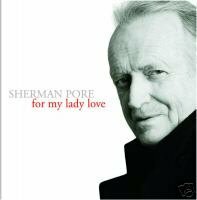 Sherman was a contestant on American Idol at the age of 64, singing for his wife whom he lost to ovarian cancer. This collection includes covers of songs like Dream A Little Dream Of Me, Autumn Leaves, You Belong To Me and more.